MAGNOLIA, Ark. 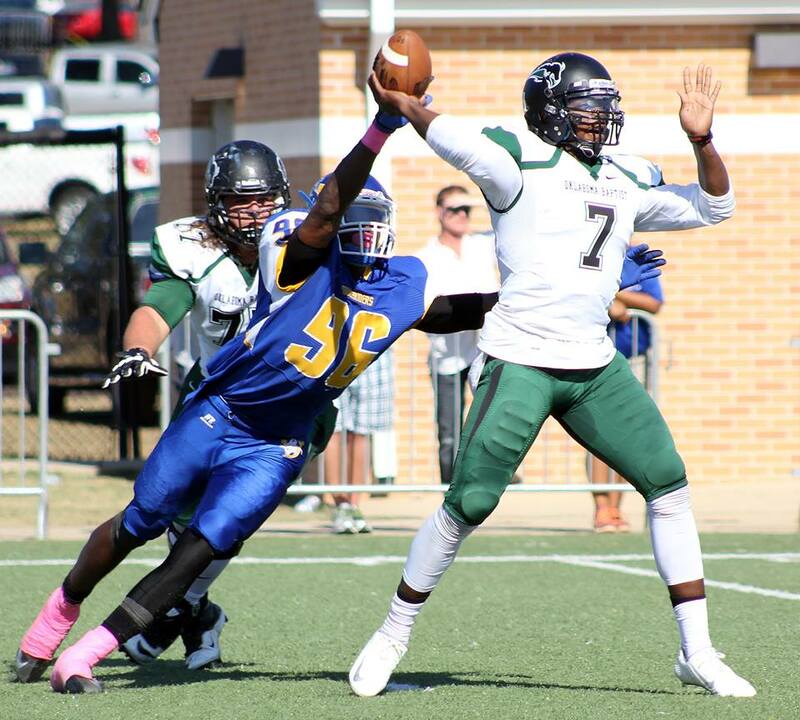 – The Southern Arkansas defense allowed just 151 total yards of offense to GAC-newcomer Oklahoma Baptist on Saturday afternoon to help propel the Muleriders to a 38-20 win over the visiting Bison on Homecoming. The Muleriders’ (4-2, 4-2 GAC) victory against the Bison (1-5, 1-5 GAC) pushes their Homecoming Day winning streak to eight games overall with the last seven coming under head coach Bill Keopple. Neither team would light up the scoreboard in the first quarter, but early in the second quarter, the Muleriders struck first as Barrett Renner hooked up with a wide open Tanner Hudson from nine-yards out. Later in that second quarter, SAU’s Deandre Jenkins would find pay dirt from seven-yards out to put the Muleriders up 14-0 heading into halftime.